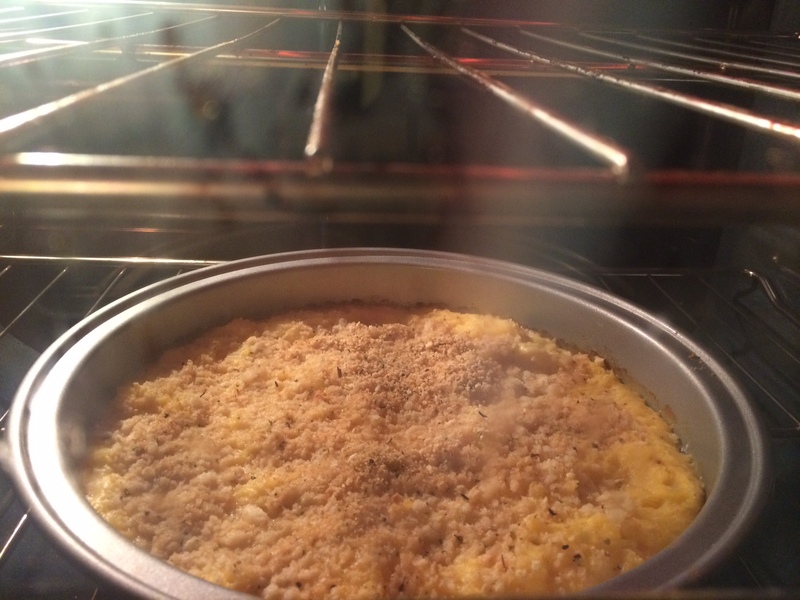 This is quite possibly the best mac & cheese recipe I’ve come across. AND it’s not THAT bad for you. The original recipe is labeled as “light” and it’s from Cooking Light, but of course all cheese is pretty fattening, so I don’t really like to label any type of mac & cheese dish “light” … hence the “not-so-bad-for-you” label. This recipe combines some cheese with squash and Greek yogurt, so you still get that creamy texture, but not as bad as traditional mac & cheese. If you’d like to make it even healthier, you can make it with spaghetti squash like I did here. Original recipe can be found here. 2. Combine butternut squash, broth, milk, and garlic in a medium saucepan; bring to a boil over medium-high heat. Reduce heat to medium, and simmer until squash is tender when pierced with a fork (about 25 minutes). 3. Place the hot squash mixture in a blender. Add salt, pepper, and Greek yogurt and blend until smooth. Place blended squash mixture in a bowl; stir in Gruyère, pecorino Romano, and 2 tablespoons Parmigiano-Reggiano. Stir until combined. 4. Cook pasta according to package directions OR cook spaghetti squash. 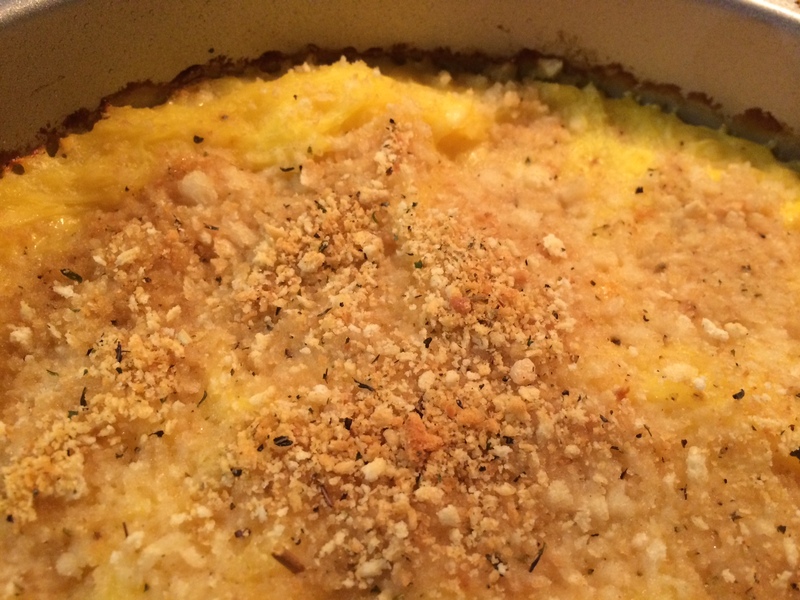 (If you’re unfamiliar about how to cook spaghetti squash, please see my past post here). Add pasta/spaghetti squash to butternut squash mixture, and stir until combined. Spread mixture evenly into a 13 x 9-inch glass or ceramic baking dish coated with cooking spray. 5. Heat a small pan coated with cooking spray over medium heat. Add panko, and cook for 4-5 minutes or until golden brown. Remove from heat and stir in remaining 2 tablespoons Parmigiano-Reggiano cheese. Sprinkle evenly over the hot pasta or spaghetti squash mixture. Lightly coat topping with cooking spray. 6. Bake at 375° for 25 minutes or until bubbly. Sprinkle with parsley, and serve!